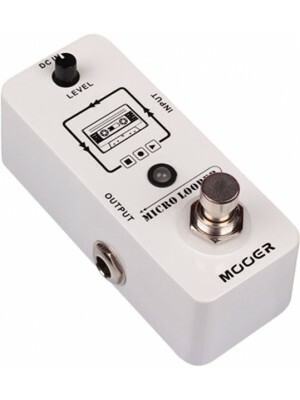 MOOER MICRO LOOPER has up to 30 minutes of recording time and unlimited overdubbing times. 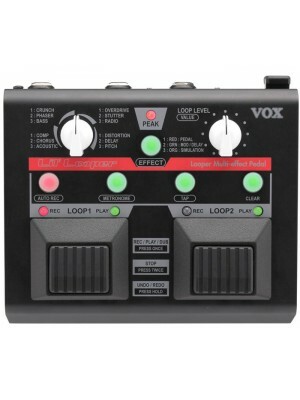 Features 1.True Bypass When the Micro Looper is in Bypass mode, it does not affect the original signal which ensures your signal to be clear and lo..
﻿Looper Multi-effect Pedal Simple design allows effortless looping performances with killer effects! The new Lil' Looper – ideal for both guitar and vocal/mic performances as well Intuitive dual pedal design Record for a total of 90 seconds on two..